There are a number of similarities in the fan/supporters cultures of American Football at the College level and that of European soccer, illustrated in original content put forth today by Bayern Munich. FC Bayern Munich's Pres. of the Americas, Rudolf Vidal stated, "Whenever we talk about soccer to someone who is not yet a fan, we always use college football as an analogy to describe the passion and fan culture around the game." This venerable Bundisliga club linked up with a storied football program in Texas A&M who lay claim to one of the most historic programs in the nation and rightfully so. Bayern used a 22 year old college senior Colin Brennan to illustrate this. 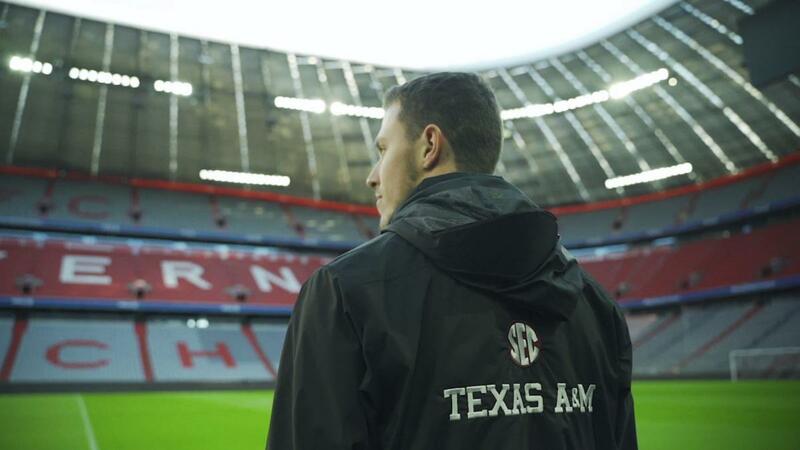 Scott Woodward, Texas A&M AD explained "FC Bayern Munich is one of the world's most successful professional sports teams. We are thrilled to be part of this story." Colin bring the audiance to what can only be described as a ritual at the school, the Midnight Yell. This somehow gets 20,000 (about what the Soccer Specific Stadiums in MLS hold) the night before a game to practice yells. Colin a dyed in the wool Aggies fan is then off to Munich, Germany to the hollowed ground of FC Bayen Munich for his first exposure first hand to European soccer in the world famous Allianz Arena. Once there, he is then enveloped by the 9,000 fans in the well known standing section of the stadium named the "Sudkurve". At the base of the stands a few fans (capos) lead the 75,000+strong in chants to push their team on. With the USA hosting a good deal of the coming 2026 FIFA World Cup, Bayern wishes to have a role in growing the game here on and off the field. 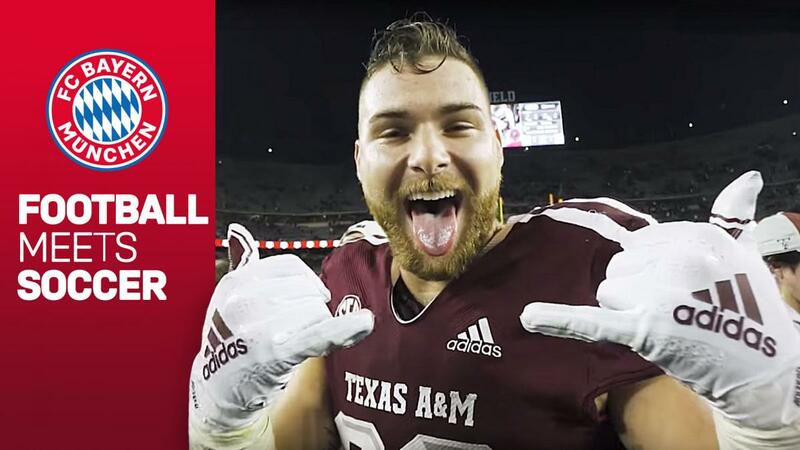 Allowing college football fans a sneak peak into the fan culture at their club is certain to spark similar feelings experienced while watching their team compete and link fans out of different realm with similar values. Colin Brennan at Allianz Arena. Credit Bayern Munich.